Horsham Piazza Italia, in its eighth year in 2014, and billed as one of the biggest free events in the South (well maybe West Sussex), is a three-day event over Easter weekend celebrating all things Italian, including markets, music and cars. Yesterday I went exploring near Horsham, and discovered further World War II defences on the Arun-Ouse Stop Line; a small bridge crossing the river Arun west of Horsham was defended by two tank traps or ‘coffins’, designed to stop tanks from getting through and crossing the bridge. Another little experiment with off-camera flash, although I wasn’t well equipped with tripods and diffusers so I was a bit limited with what I could do. There is a large pillbox very nearby, located in a private garden. 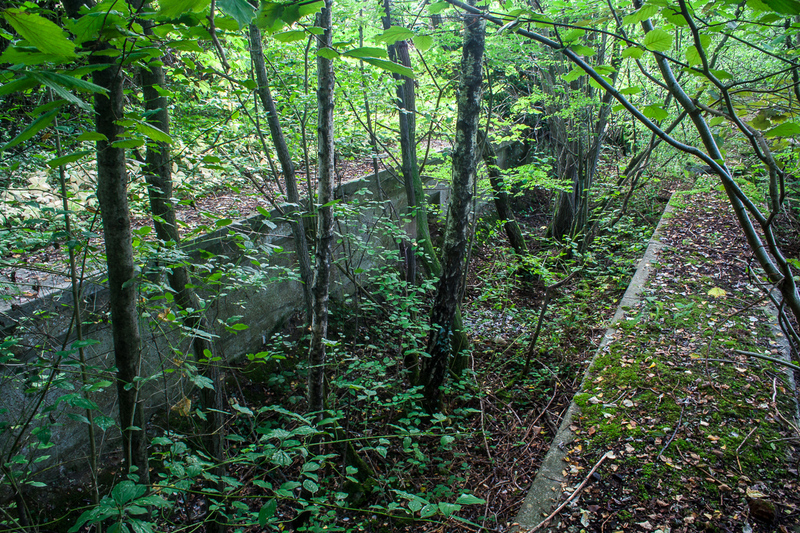 Until recently it was heavily overgrown, but has been cleared and I believe it is being used as a garden shed (note that it’s easy to see but there is no access to this pillbox at all).